Italy’s gambling operators are protesting the government’s decision to hike gambling taxes and reduce land-based slots payouts to customers. On Wednesday, Italy’s coalition government delivered its latest assault on its gambling industry in the form of gambling tax hikes and reduced customer payouts. The changes were revealed in the so-called ‘maxi amendment’ to the budget maneuver, which still awaits a final vote by Italy’s full parliament. Among the major changes proposed is a hike in online casino tax from its current 20% to 25%, effective January 1. The government claims the hike will generate an additional €50m in annual revenue for the state. Online sports betting revenue will now be taxed at a rate of 24%, up from the current 22%, while land-based betting operators (excluding horse betting, natch) will also face a two-point hike to 20%. Ditto for virtual betting, the tax on which is rising two points to 22%. The betting hikes are expected to cost operators an additional €30m per year. The government had previously revealed a plan to increase the tax on video lottery terminals (VLTs) and amusement with prizes (AWP) machines by 0.25% on September 1 and a further 0.25% on May 1, 2019. Both categories are now facing a 1.25% hike as of January 1, while the minimum payout to customers is being reduced by one point to 69% for AWPs and by 0.5 points to 84.5% for VLTs. Moreno Marasco, president of Italian gaming operator association Logico, expressed his “utmost concern” over the proposed changes, telling local affiliate Agimeg that the government will only succeed in driving local gamblers to seek out better value from the international operators who continue to serve the Italian market without local permission. Marasco contrasted Italy’s approach with that of Spain, which recently announced a five-point reduction in its online gambling tax rate. Marasco openly mused that the government’s true intention was to “reduce the number of operators” in Italy’s regulated market. 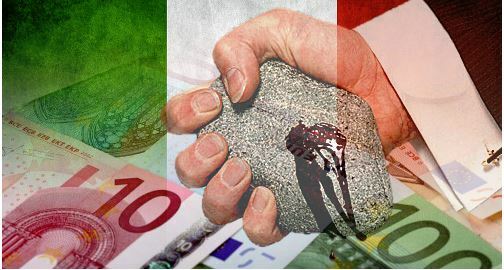 Geronimo Cardia, president of Italy’s public gambling association Acadi, was equally alarmed by the new proposals, and urged the government to conduct an in-depth analysis of the impact these changes will have on local operators. Italian-licensed operators are already facing absolute bans on advertising and sponsorships that kick in on January 1 (although existing sponsorship deals will be allowed until June 30 to run their course). AVAILABLE IN A BROWSABLE ELECTRONIC FORMAT THE BOOK: “LEGAL PROFILES OF PRIVATIZATION” BY GERONIMO CARDIA – IL SOLE 24 ORE LIBRI, 1994.